As some of you may have noticed, this title is taken from a Bob Chipman three part video essay on Batman V Superman. While I will be taking points from his essay, I will be looking at them from my own personal critique of the film and the title is purely because I thought the ‘Really That Bad’ title was too excellent to NOT use. Just keep in mind that my points are probably not going to be nearly as nuanced, so if you want a proper deconstruction of the film that’s almost as long as the film itself, go watch his videos on the subject. So, in the Really That Bad series I will be looking at various films, ranging from the pure awful, such as The Room, to the painfully mediocre, and figuring out what exactly broke these films. What was the point of no-return for the film? Why, exactly, is the film so awful? With that in mind, welcome to Really That Bad. 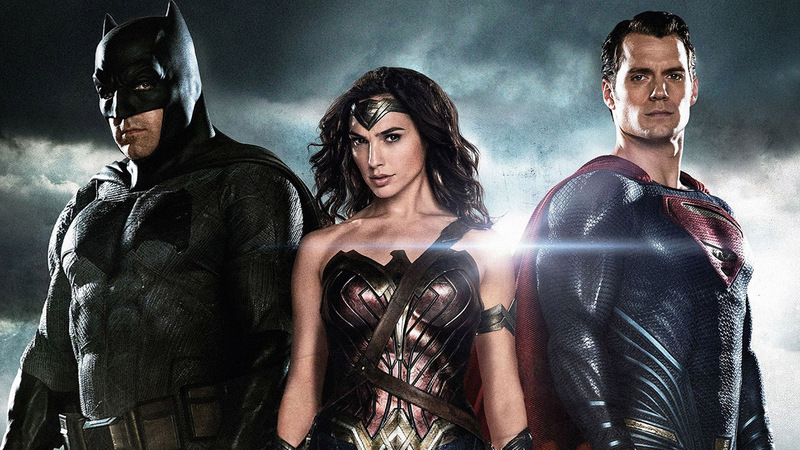 Batman V Superman: Dawn Of Justice is a film with many, many, many issues. There are massive storytelling problems, directorial problems, characterisation issues and there have clearly been massive issues behind the camera as well as in front of it too. The question is, what are the biggest flaws the film has? What exactly is it that causes this film to be what I consider one of the blandest, most offensively bad pieces of media I’ve ever seen? Let’s dig into Batman V Superman: Dawn Of Justice. Before I do however, a brief side note: yes, that title is also an issue. It’s far too generic, it feels a marketing executive at Warner Bros looked at the buzzwords of the day and slapped them together with nobody actually thinking about the title itself. Batman V Superman feels like a film with near unlimited potential. Zack Snyder is a pretty good director and the cast he lined up from the project was all-star in nature. You’ve got two-time Academy Award winner Ben Affleck who, despite not having the best record with Superhero films (he starred in the so bad it’s good 2003 Daredevil film as the titular character), is an incredibly gifted character actor. You’ve got six time Academy Award nominee actress, Amy Adams. You’ve got Academy Award nominated actor Jesse Eisenberg. And you’ve got Henry Cavill, who is… well he’s definitely there. It had the privilege of seeing several previous cinematic universes both soar and burn (The obvious examples here being the success that is the Marvel Cinematic Universe and the absolute failure that was whatever kind of universe Sony was trying to build with The Amazing Spider-Man films), thus giving it the ability to learn from their mistakes. The film is pulling mainly from two of the most loved and well-known comics in the history of the medium: The Dark Knight Returns and The Death Of Superman. It also had 70 plus years of other, lesser-known material to pull from. So, why did Batman V Superman fail completely and utterly? For starters, I believe that the film’s version of Superman, or indeed the DCEU’s version of Superman at general is at fault here. Cavill himself is not an awful actor, he’s proven this with his role in the sublime Mission Impossible: Fallout, but here, it feels a lot like he doesn’t particularly care about the role, like this is simply just a pay check to him. What particularly irks me about this universe’s interpretation of Superman is how he’s written and characterised. Superman is supposed to be the symbol of Truth, Justice and the American Way, yet he’s engaged in exactly none of that in the DCEU. Instead, all Superman has done is kill the only enemy he’s faced prior to this film and level a small portion of Metropolis. I get that DC were going for a dark, gritty take on the superhero genre, with all the realism that comes with that, but it’s just so obnoxious, so self-serving, that it’s impossible to take it seriously on any level. If you want to do realism in the Superhero genre, you’ve got Batman literally right there, just use him instead of a man who is a god-level alien. Richard Donner’s 1978 classic Superman is still the best example of the character in the live action medium, there’s a reason why it almost single-handily kicked off an entire genre, so why would you intentionally stray so far from that? Affleck is pretty decent in this film, despite the underwhelming material he was given. Imagine how good he’d have been if they’d actually used him correctly. As previously mentioned, the film takes the imagery from The Dark Knight Returns (the costume that Batman wears, the fact he kills, the old aged, world-wearied Bruce Wayne, hell even the titular fight, which has happened several times in different comics and universes, is known mainly for happening in this universe) and The Death Of Superman (This one’s self-explanatory if you’ve seen the film), but it doesn’t actually take any of the thematic weight that was behind these images and stories. The fight between Batman and Superman in The Dark Knight Returns only works because it’s supposed to be symbolism of a corrupt government fighting against a rebellion, of the corruption of good. But Batman V Superman doesn’t actually have any of this imagery nor thematic depth behind it, even though it’s had 3 hours in this film alone to flesh it out. The titular fight itself lasts for about fifteen minutes, and it’s not even that well choreographed. It’s an utter mess, with the worst part being the now infamous ending to the fight. Which screenwriter at DC looked at the script and thought “Nah let’s not have them fight to a standstill, or actually have one of them win the fight, let’s have it end with both of them screaming ‘MARTHA’ at each other like they’re part of a theatre troupe”. If you’re going to do Batman V Superman, you should at least have the guts to commit to showing a clear winner in the fight. Sure, it’ll rile up a certain portion of the fanbase, but it’s better than riling them ALL up. The issue with using The Death Of Superman as a touching stone for both the plot and the imagery of, y’know, Superman’s death itself is that the comics had 54 years to set up an emotional connection between the readers and Superman. That’s 54 years to give Superman multiple complex multi-layered relationships, 54 years to show Superman as a leader to all these other heroes in the universe before they finally decided to kill him off. The DCEU had two films, including this one, to attempt this itself. Unfortunately, the first was critically divisive and didn’t exactly do much to develop Superman’s character in order to make him empathetic in any way. So when The Death Of Superman actually happens (and remember this is the death of SUPERMAN, possibly the most influential superhero in the entire medium, and maybe even one of the most influential characters in fiction) you feel absolutely no emotion in connection to it. Killing off Superman in the second movie was a ballsy decision in and of itself – it was even more ballsy to do it after the mauling that Man Of Steel got. The issue is The Death Of Superman is a storyline you can do once effectively, and only once. After that point, it simply will not work again – certainly nowhere near as effectively as the first time, anyway. So, by messing up this opportunity with Batman V Superman, DC have completely got rid of the option to do it again in the future. Did somebody at Warner Bros mix up the character sheets for Lex Luthor and The Joker? I ask this because somebody clearly got mixed wires, judging by how Jesse Eisenberg portrays Lex Luthor as more of a maniac who leaves his urine on a U.S Senator’s desk than a clever, conniving businessman. Eisenberg is so clearly the wrong choice for Lex Luthor it almost hurts to believe that somebody watched his audition tape and thought that “Yep, that’s the one, that’s the one we want”. Not only is his acting absolutely awful in this, a far cry from how good he was in The Social Network, the characterisation of Lex is completely off. Now, I’m fine with comic book adaptations taking liberties from the source material, after all it’s what makes them interesting, allows for surprise twists and complex character turns. But to take the entire point of a character, the base of him, and completely change it? That’s utterly idiotic. Lex Luthor should have remained the cold, manipulative, genius that Gene Hackman and every other version of the character has portrayed him as, rather than an insane, over-planning, over-compensating psychopath. And did DC really need to include mini trailers for each of the other Justice League members in the middle of the damn film? While Marvel (understandably) occasionally gets flak for their films sometimes seeming more like sequel set-ups rather than films in their own right, this is by far the worst example of sequel set-up I’ve seen in a film. Nobody needed the characters of The Flash, Cyborg and Aquaman to debut in a film that is already overstuffed and far too long to maintain an acceptable level of interest. A similar issue is apparent with Wonder Woman’s appearance in the film. While Gal Gadot is great in the film, she’s not exactly necessary. The only reason Wonder Woman appears in this film is to scream at audiences “HEY LOOK HERE’S ANOTHER HERO, GO SEE HER FILM”. The fact she’s in the film at all contributes to how overblown and messy the story is. There are far too many characters to keep track of, multiple villains and multiple plot strands that go nowhere. This all circles back to the main issue with Batman V Superman. It thinks it’s far more important and special that it actually is. Batman V Superman: Dawn Of Justice believes that it is going to be culturally relevant, thus it tries to portray its material as being far deeper than it is. Batman V Superman is a bad film, there is no doubt in that. But what irks me so much about it is what it could have been. How it approaches its characters is almost cultural vandalism, everything is so painfully bleak in a universe that is supposed to be about the burgeoning prospect of hope and it simple doesn’t work. In the end, Batman V Superman: Dawn Of Justice is indeed, really that bad.